The selection of the right bat decides the fate of the game and the player. 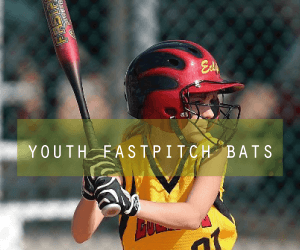 The correct composition, a perfect grip, precise length, and ideal weight are the top features of the best youth fastpitch softball bats. My handpicked choice DeMarini 2019 Uprising contains all the mentioned qualities that are required to hit hard and run fast. I have spent ample amount of time to discover the best bat present in the market today and found this softball bat is ideal for the young players – whether the game is just a practice or real combat. This high impact but a lightweight bat, with the hybrid performance grip, is ideal to fit in the hands of the young player to have a perfect strike. The Uprising is the new addition in the DeMarini list of the best youth fastpitch bats. It is the high impact bat that allows the player to hit hard by putting less effort. It is ideally made for the players who want to hit and run using the lightweight bats. Made with the ZNX Alloy, the hand of this bat fits seamlessly in young hands and offers hybrid perform grip for flawless playing. The two-piece tacky grasp provides the adhesive hold of the bat. The 2019 Uprising has the -12 length to weight ratio. Depending on the size of the player, the DeMarini has given the choice of five sizes to select from. The barrel diameter is 2 1/4 inches to augment the hitting power. DeMarini is known for their beautiful designs and the Uprising surely has one of their best layouts. Take it to win the game as it is certified for use in ISF, ASA, NSA, ISA, and USSSA leagues. 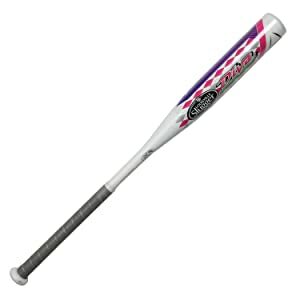 With extended sweet spot and durable alloy, this softball bat is the finest offering perfect grip and easy swing. Rawlings owns the second spot in my list. Constructed using the durable one-piece alloy for long-run use, this metal bat is very light weighted for stress-free play. Rawlings is known for making the finest softball bats. This bat – from Rawlings’ Ombre series – has extended sweet spot construction that increases the sweet spot of the bat. Certified for the use in NSA, USSSA, ASA, ISA, and ISF leagues, this bat has the pretty stylish look with the blue and pink Ombre design. Available in five different sizes, this bat is ideal for the kids of various ages and fulfills their demands of playing great. It has the -11 length to weight ratio. Bottle bat design with highly comfortable grip, it is a perfect bat that hits strongly with its large sweet spot. Specially made for the young strong hitters, this bat constructed using the durable alloy has earned the third position in my list. It has the unique bottle design to enhance holding of the bat and improve the ball hitting. The synthetic grip offers the optimized comfort that is required to have an awesome game. It has the 7/8″ standard handle to easily adjust in the young players’ hand. Louisville Slugger has a tough 2 ¼- inches barrel diameter with the larger sweet spot. It features -11.5 length to weight ratio to enhance the player’s performance offering easy swing all the time. It is certified to be used in the following leagues: ASA, ISA, ISF, NSA, and USSSA. Constructed with military grade aluminum, this ultra-thin bat with cushioned grasp provides the perfect grip to the young ladies. Easton’s bat is my last but not the least choice of youth fastpitch softball bat. It has its own qualities. The Pink Sapphire is the new addition to the list of the Easton new diamond series of bats. 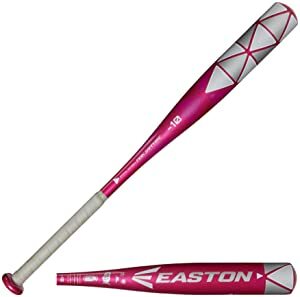 Pink is the color of beauty and with the beautiful blend of silver, this softball bat is the top-choice of the female youth. Made from military grade aluminum LX50, it is a highly durable bat with reliable construction. The handle is ultra-thin with only 29/32″ size which offers complete cushioned grip to fully control the bat during the game. This bat has the USSA, ASA, ISA, ISF, and NSA certification that means players won’t be having any problem while playing in the leagues as well. 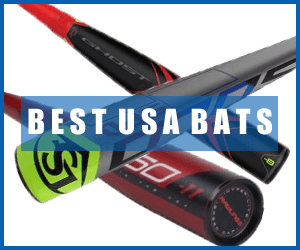 All these four best youth fastpitch softball bats are my personal choice and selected among hundreds of the similar category bats that are available today. All of them are wonderful and provide amazing grip with a fascinating design. The hitting power of these bats fulfills the strength requirement that is necessary for the youth gameplay. My personal favorite is DeMarini 2019 Uprising because of its amazing features. However, I have provided you with other choices as well so you can see which one suits you the best.